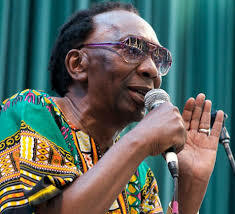 Chimurenga music legend, Thomas Tafirenyika Mapfumo has bemoaned music piracy which saw his yet to be released track, “Chauya Chauya” which is still at mastering stage leaking into the streets and social media where it has gone viral. In a press statement released today, Mukanya as he is affectionately known by his legion of fans says he realised that “Chauya Chauya” had been merged into an album together with his older songs and being sold as his latest album. “It was only yesterday when we discovered that it is now on pirated CDs with a couple of other (old) songs purporting to be the latest album from Mukanya. “The song, called Chauya Chauya by Thomas Mapfumo, is an unfinished product and is still being mastered as part of our next project. We were deeply shocked when we learnt of the developments as the song went viral on social media,” said Blessing Vava, Mukanya’s publicist. He added that they are investigating into how the song ended up in the hands of pirates who are already making a killing from the Chimurenga music legend. “We are very disappointed and concerned about this development and we have instituted an investigation to determine how the song could have been leaked. “We believe that piracy has gone out of hand because of weak legislation and a will to fight the scourge.Therefore we implore that there is a need for tough laws covering, heavy fines and imprisonment, criminalization of sending pirated songs, confiscation of equipment, vehicles used in producing pirated music and registration of printers of CDs,” added Vava. Just yesterday, Mukanya had a meeting with the Minister of Sports, Arts and Recreation, Kazembe Kazembe where he raised issues affecting the music industry including piracy. Meanwhile according to sketchy surveys conducted around Harare Central Business District by this publication, most population of people selling pirated Compact Disks (CDs) and Digital Versatile Disks (DVDs) are people living with disability.